A U.S. Air Force A-10 is parked on the ramp during the Heritage Flight Training Course at Davis-Monthan Air Force Base, Ariz., Feb. 10, 2017. 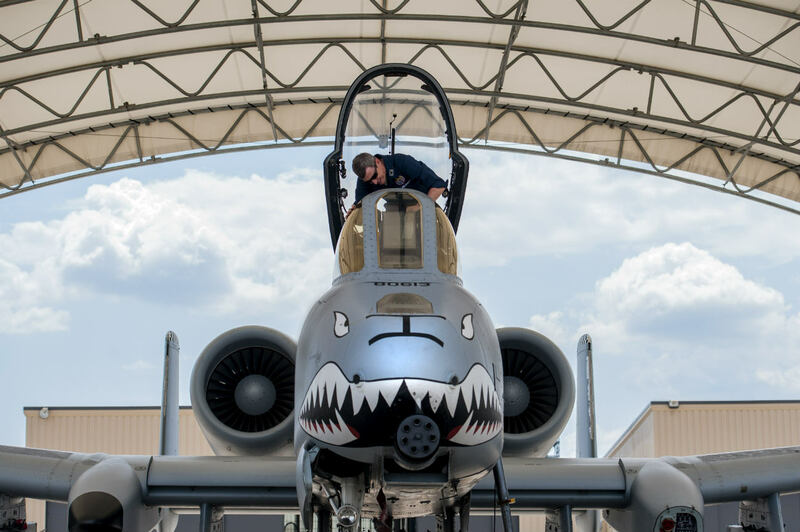 As part of this years HFTC, Air Combat Command brought back the A-10 East and West Heritage Flight Teams to perform at Airshows across the United States. A U.S. Air Force Fairchild A-10 Thunderbolt is parked on the ramp during the Heritage Flight Training Course at Davis-Monthan Air Force Base. These A-10 images were photographed by military veterans and service members. An A-10C Thunderbolt II assigned to the 76th Fighter Squadron at Moody Air Force Base, Ga., releases bomb dummy units during an East Coast Airpower Demonstration at Poinsett Electronic Combat Range, Wedgefield, S.C., Oct. 27, 2016. A-10s serve combatant commanders downrange by providing close-air support, which aids in troop movement by clearing a safe path. 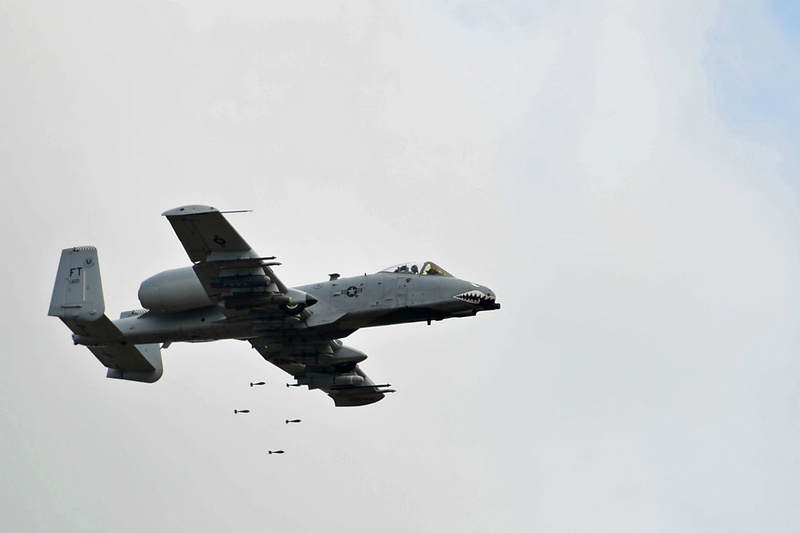 An A-10C Thunderbolt II assigned to the 76th Fighter Squadron at Moody Air Force Base, Ga., releases bomb dummy units during an East Coast Airpower Demonstration at Poinsett Electronic Combat Range, Wedgefield, S.C.
Airmen from the 124th Fighter Wing’s enroute support team aircraft (ESTA) and 190th Fighter Squadron pilots and A-10 Thunderbolt II aircraft return home from a six month deployment to Gowen Field, Boise, Idaho Oct. 24, 2016. 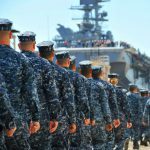 The Airmen were deployed to Incirlik Air Base in support of Operation Inherent Resolve. Airmen from the 124th Fighter Wing’s enroute support team aircraft (ESTA) and 190th Fighter Squadron pilots and A-10 Thunderbolt II aircraft return home from a six month deployment to Gowen Field, Boise, Idaho. U.S. Air Force Col. Thomas Kunkel, 23d Wing commander, cleans the canopy of an A-10C Thunderbolt II, June 27, 2016, at Moody Air Force Base, Ga. During his visit to the 23d Aircraft Maintenance Squadron, Kunkel performed an inspection, refueled and prepared the A-10 for flight. U.S. Air Force Col. Thomas Kunkel, 23d Wing commander, cleans the canopy of an A-10C Thunderbolt II. We hope you’re enjoying these A-10 Thunderbolt images and have a small favor to ask. Please consider sharing this post so others can easily find and enjoy these images as well. Airman 1st Class Devin Moore, right, 74th Aircraft Maintenance Unit avionics technician, speaks with a fellow maintainer while conducting maintenance on an A-10C Thunderbolt II during Green Flag-West 17-03, Jan. 23, 2017, at Nellis Air Force Base, Nev. GFW is an air-land integration combat training exercise, which hosted 12 A-10s from Moody Air Force Base, Ga. 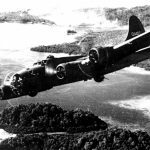 Accompanying the aircraft were 130 maintenance personnel who worked around the clock to launch 18 sorties per day. Airman 1st Class Devin Moore, right, 74th Aircraft Maintenance Unit avionics technician, speaks with a fellow maintainer while conducting maintenance on an A-10C Thunderbolt II during Green Flag-West 17-03. These A-10 images were photographed by military veterans and service members. Airmen from the 124th Fighter Wing’s enroute support team aircraft (ESTA) and A-10 Thunderbolt II aircraft return home from a six month deployment to Gowen Field, Boise, Idaho. 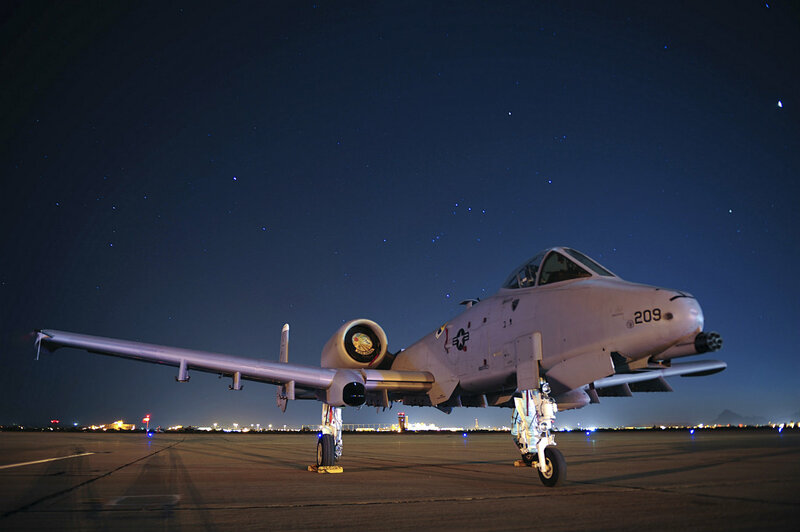 An A-10C Thunderbolt II sits on the flight line at Davis-Monthan Air Force Base, Ariz., April 27, 2015. The A-10 is used for close air support, airborne forward air control, and combat search and rescue. The first production A-10A was delivered to D-M in October 1975. The upgraded A-10C reached initial operation capability in September, 2007. An A-10C Thunderbolt II sits on the flight line at Davis-Monthan Air Force Base, Ariz.
A U.S. Air Force A-10 Thunderbolt II departs after receiving fuel from a 908th Expeditionary Air Refueling Squadron KC-10 Extender during a flight in support of Operation Inherent Resolve May 31, 2017.The aircraft can loiter near battle areas for extended periods of time and operate in low ceiling and visibility conditions. 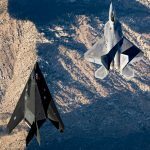 The wide combat radius and short takeoff and landing capability permit operations in and out of locations near front lines. A U.S. Air Force A-10 Thunderbolt II departs after receiving fuel from a 908th Expeditionary Air Refueling Squadron KC-10 Extender during a flight in support of Operation Inherent Resolve. We hope you’re enjoying these A-10 Thunderbolt images and have a small favor to ask. Please consider sharing this post so others can easily find and enjoy these images as well. A-10 Thunderbolt II and F-16 Fighting Falcon fighter aircraft perform an 'Elephant Walk' on the runway this week during Exercise Beverly Herd 16-01 at Osan Air Base, Republic of Korea. The Elephant Walk was a demonstration of U.S. Air Force capabilities and strength and showcases the wing's ability to generate combat airpower in an expedient manner in order to respond to simulated contingency operations. 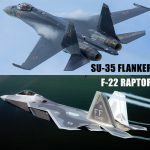 The A-10 Thunderbolt II aircraft are the 25th Fighter Squadron "Draggins" and the F-16 Fighting Falcon aircraft are the 36th Fighter Squadron "Friends" from the 51st Fighter Wing, Osan AB, ROK; the additional F-16 aircraft are the 179th Fighter Squadron "Bulldogs" from the 148th Fighter Wing out of Duluth Air National Guard Base, Minnesota. A-10 Thunderbolt II and F-16 Fighting Falcon fighter aircraft perform an ‘Elephant Walk’ on the runway during Exercise Beverly Herd 16-01 at Osan Air Base, Republic of Korea. A 357th Fighter Squadron A-10C Thunderbolt II sits on the flight line at Davis-Monthan Air Force Base, Ariz., April 24, 2015. 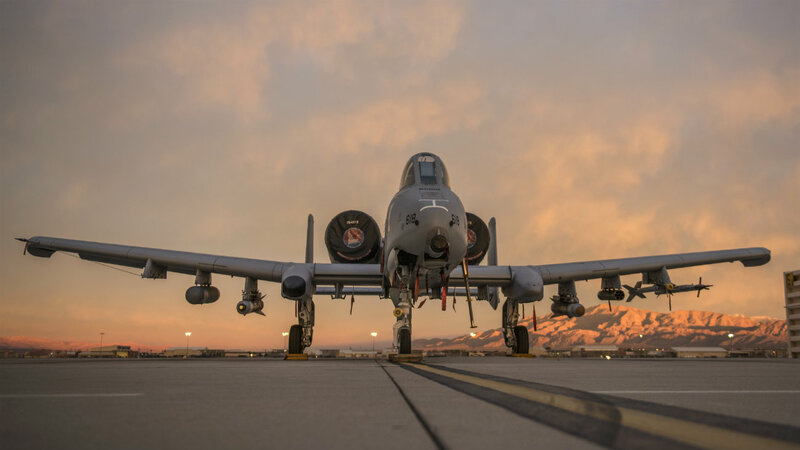 The 357th FS trains A-10 pilots to plan, coordinate, execute, and control day and night close air support, battlefield surveillance, and reconnaissance in support of friendly ground forces. 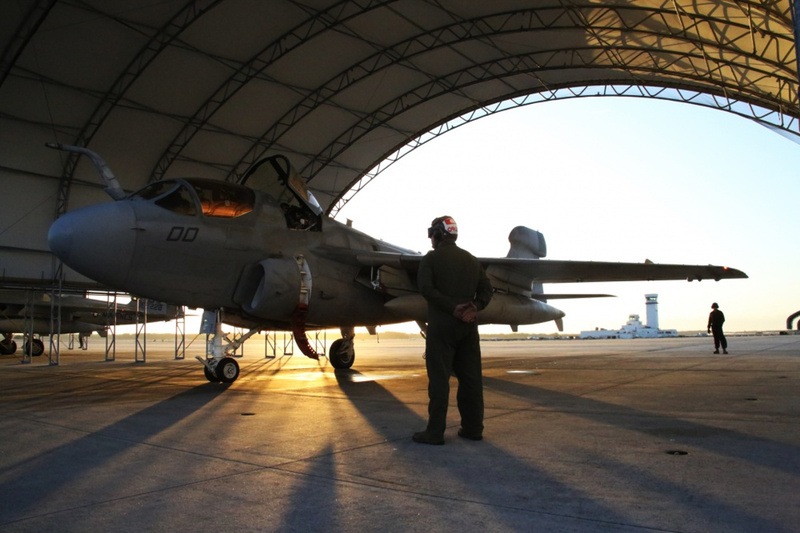 A 357th Fighter Squadron A-10C Thunderbolt II sits on the flight line at Davis-Monthan Air Force Base, Ariz. These A-10 images were photographed by military veterans and service members. An A-10C from the 190th Fighter Squadron rests on the parking ramp after a snowstorm on January 06, 2017 at Gowen Field, Boise, Idaho. 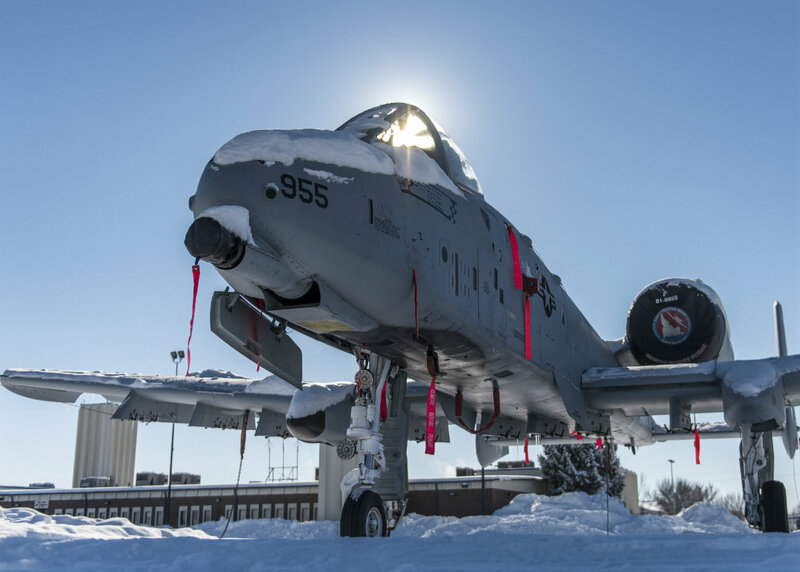 An A-10C from the 190th Fighter Squadron rests on the parking ramp after a snowstorm at Gowen Field, Boise, Idaho. We hope you’re enjoying these A-10 Thunderbolt images and have a small favor to ask. Please consider sharing this post so others can easily find and enjoy these images as well. An A-10 Thunderbolt II with the 75th Fighter Squadron from Moody Air Force Base, Ga., taxis down the runway at Barksdale Air Force Base, La., Aug. 20, 2016. 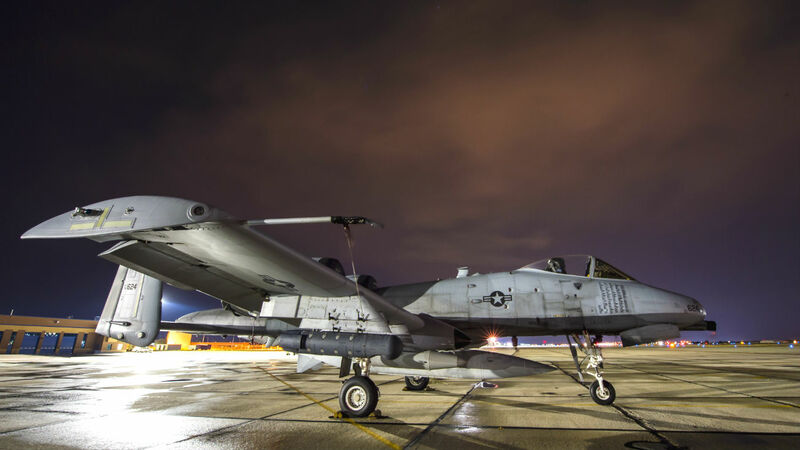 A-10 pilots flew in both the A-10 Thunderbolt II and the A-29B Super Tucano coordinating simulated close-air-support missions as part of the exercise. An A-10 Thunderbolt II with the 75th Fighter Squadron from Moody Air Force Base, Ga., taxis down the runway at Barksdale Air Force Base, La. An F-22 Raptor with the 1st Fighter Wing, Joint Base Langley-Eustis, Virginia, departs Rickenbacker Air National Guard Base, Ohio Oct. 11, 2016. The Raptors were sheltered here by the 121st Air Refueling Wing during Hurricane Matthew. A U.S. Air Force A-10 Thunderbolt II flies over Southwest Asia in support of Operation Inherent Resolve. 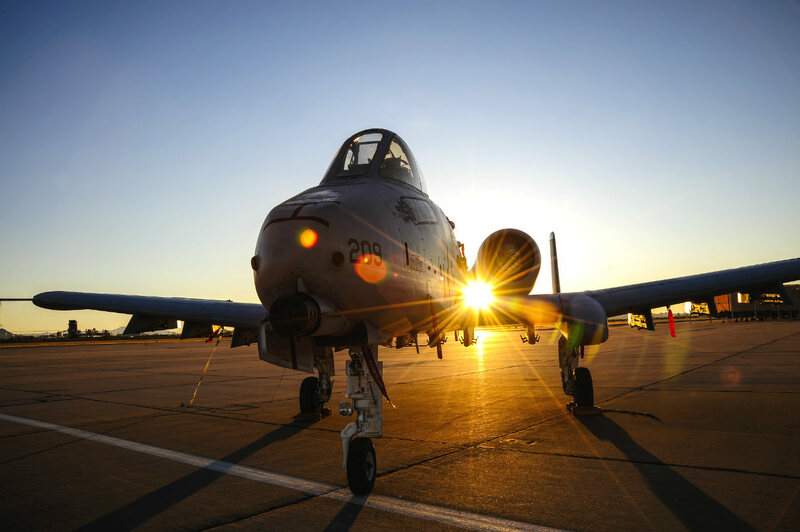 An A-10C Thunderbolt II from the 190th Fighter Squadron at Gowen Field, Idaho, sits idle on the fight line during sunrise at Nellis Air Force Base, Nev., Jan. 19, 2016, while taking part in Green Flag 16-03. Green Flag is an advanced joint air to surface training exercise designed to better train pilots in their role to support ground forces at the U.S. Army National Training Center at Fort Irwin, Calif.
An A-10C Thunderbolt II from the 190th Fighter Squadron at Gowen Field, Idaho, sits idle on the fight line during sunrise at Nellis Air Force Base, Nev. These A-10 images were photographed by military veterans and service members. A U.S. Air Force A-10 Thunderbolt II from the 75th Expeditionary Fighter Squadron, Bagram Air Field, Afghanistan flies a combat sortie Jan. 7, 2014, over northeast Afghanistan. 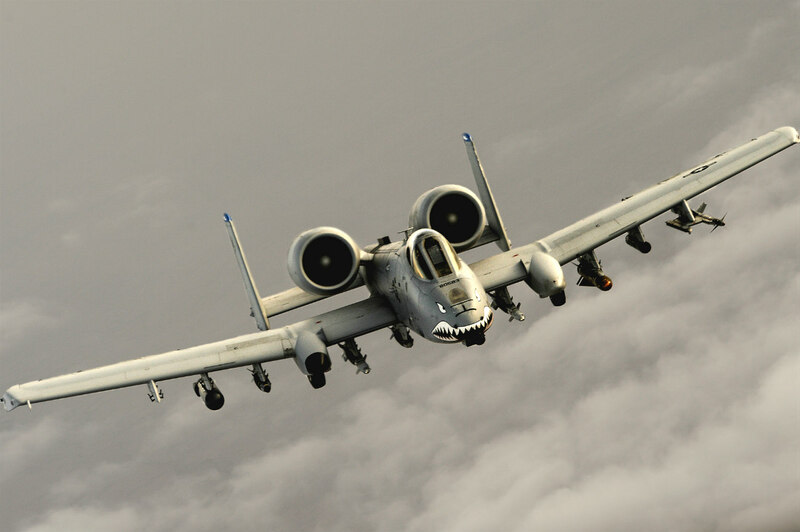 The A-10 Thunderbolt II is the first Air Force aircraft specially designed for close air support of ground forces. A U.S. Air Force A-10 Thunderbolt II from the 75th Expeditionary Fighter Squadron, Bagram Air Field, Afghanistan flies a combat sortie. 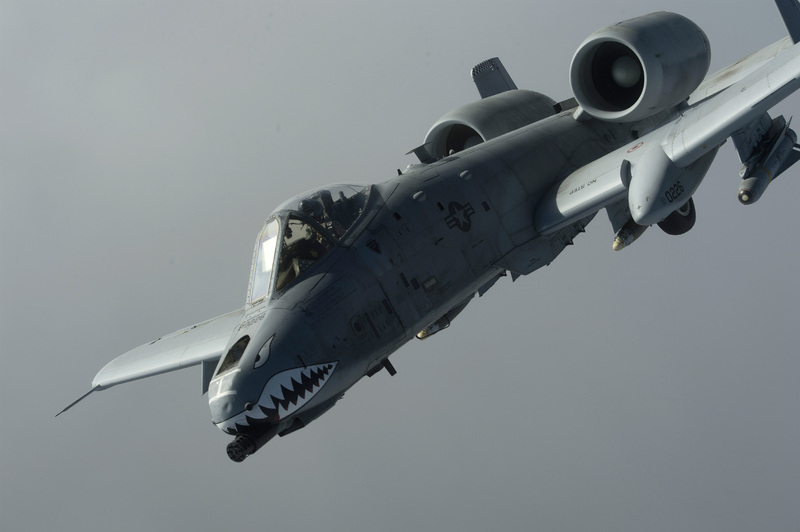 We hope you’re enjoying these A-10 Thunderbolt images and have a small favor to ask. Please consider sharing this post so others can easily find and enjoy these images as well. A crew chief from the 51st Maintenance Group marshals an A-10 Thunderbolt II prior to takeoff for a training mission during exercise Beverly Herd 16-01 at Osan Air Base, Republic of Korea, May 10, 2016. The 25th Fighter Squadron arrived with A-10s to Osan in October 1993. BH 16-01 is a week-long readiness exercise for the 51st Fighter Wing that includes a plethora of scenarios. 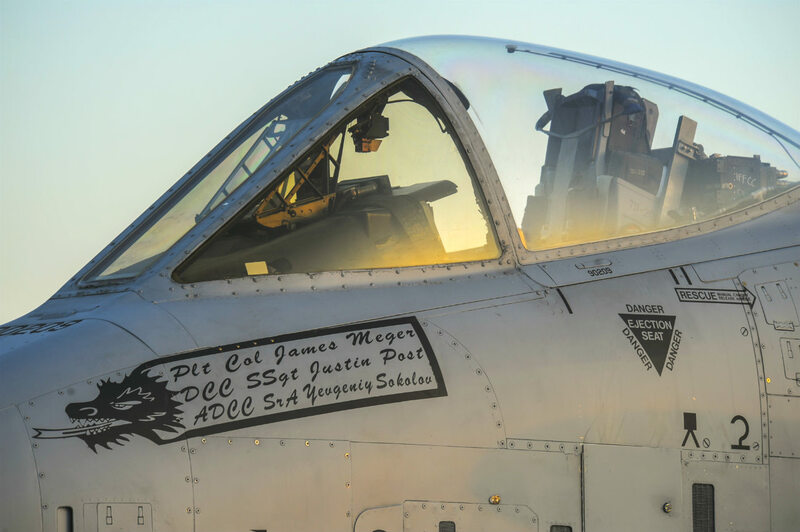 A crew chief from the 51st Maintenance Group marshals an A-10 Thunderbolt II prior to takeoff for a training mission during exercise Beverly Herd 16-01. 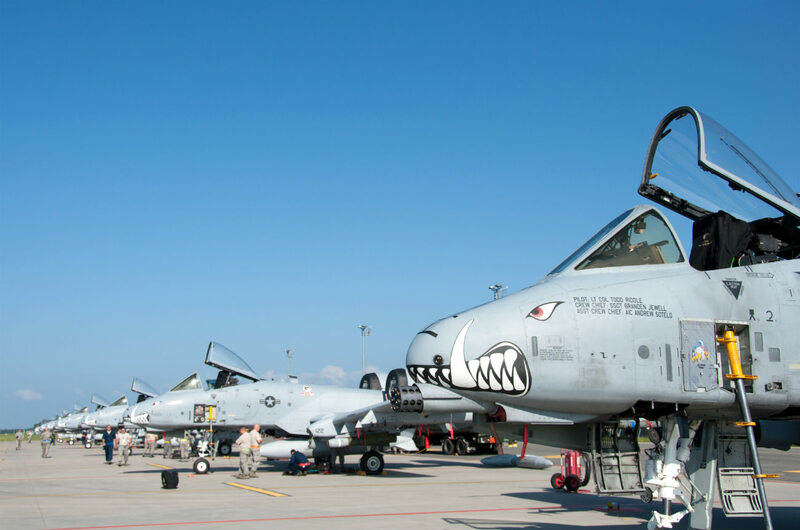 An A-10 Thunderbolt II attack aircraft is parked on the flightline May 4, 2015, at Amari Air Base, Estonia. 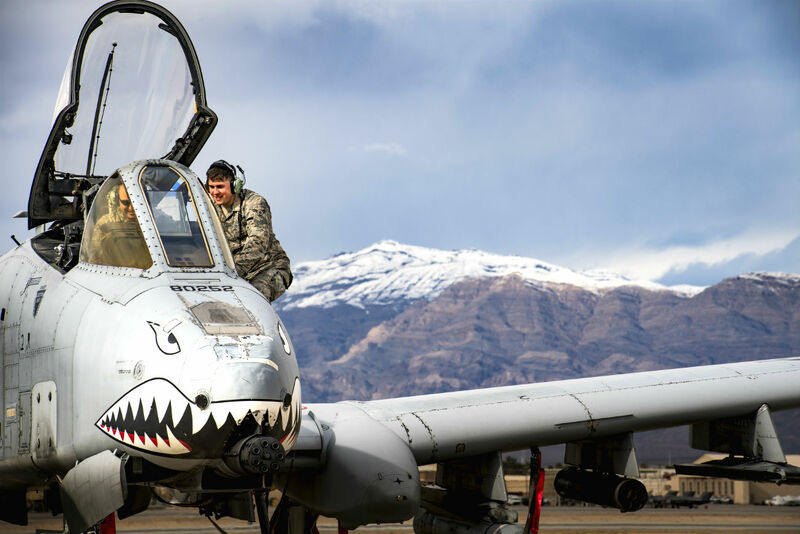 The A-10 supports Air Force missions around the world as part of the U.S. Air Force's current inventory of strike platforms, including the F-15E Strike Eagle and the F-16 Fighting Falcon fighter aircraft. An A-10 Thunderbolt II attack aircraft is parked on the flightline. An A-10 Thunderbolt aircraft from Nellis Air Force base lands on a drop zone, at the National Training Center, Fort Irwin Calif. May 13th, 2016. An A-10 Thunderbolt aircraft from Nellis Air Force base lands on a drop zone, at the National Training Center, Fort Irwin Calif. These A-10 images were photographed by military veterans and service members. An A-10 Thunderbolt II from the 25th Fighter Squadron shoots a flare during Air Power Day 2016 on Osan Air Base, Republic of Korea, Sept. 24, 2016. 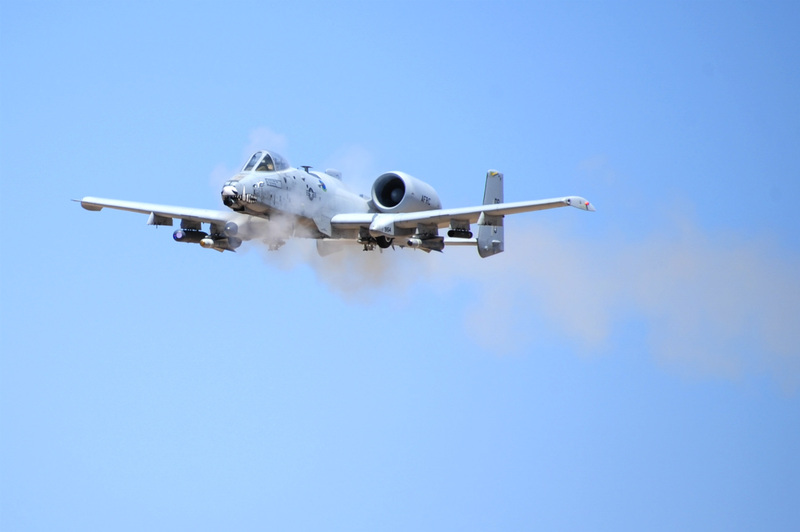 The A-10 was showing off its capabilities to perform combat search and rescue missions during air show. An A-10 Thunderbolt II from the 25th Fighter Squadron shoots a flare during Air Power Day on Osan Air Base, Republic of Korea. 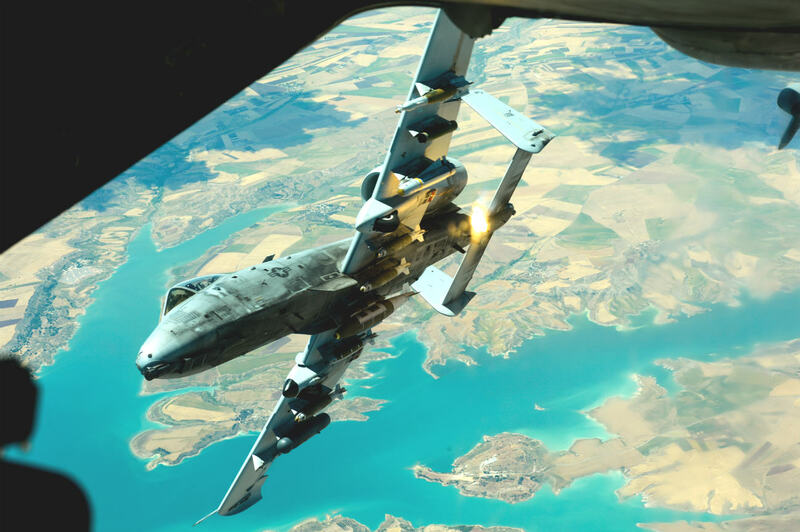 We hope you’re enjoying these A-10 Thunderbolt images and have a small favor to ask. Please consider sharing this post so others can easily find and enjoy these images as well. Airmen from the 124th Fighter Wing’s enroute support team aircraft and A-10 Thunderbolt II aircraft return home from a six month deployment to Gowen Field, Boise, Idaho. An A-10 Thunderbolt II with the 75th Fighter Squadron from Moody Air Force Base, Ga., takes-off from Barksdale Air Force Base, La., Aug. 21, 2016. 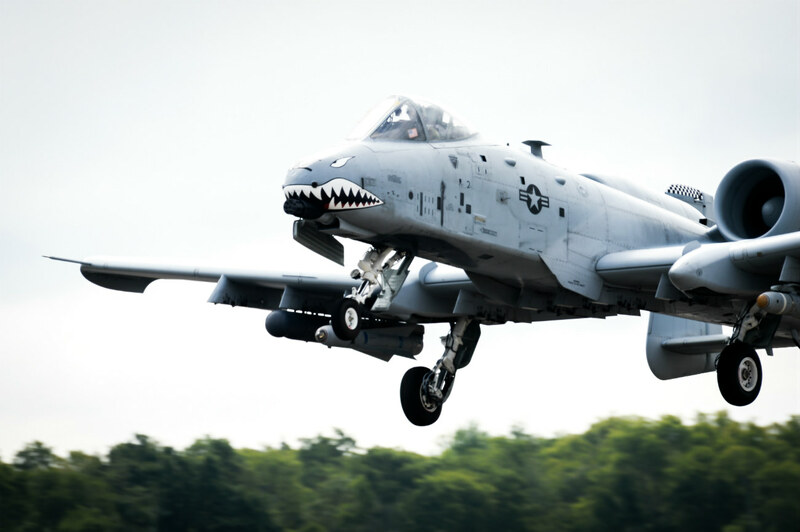 Two A-10 Thunderbolt IIs flew a simulated close-air-support mission with two Colombian A-29B Super Tucanos as part of Exercise Green Flag East. An A-10 Thunderbolt II with the 75th Fighter Squadron from Moody Air Force Base, Ga., takes-off from Barksdale Air Force Base, La. Eight U.S. Air Force A-10 Thunderbolt IIs assigned to the 442nd Fighter Wing, Whiteman Air Force Base, Missouri, park on the runway as maintainers perform post-flight inspections at Ämari Air Base, Estonia, July 25, 2016. 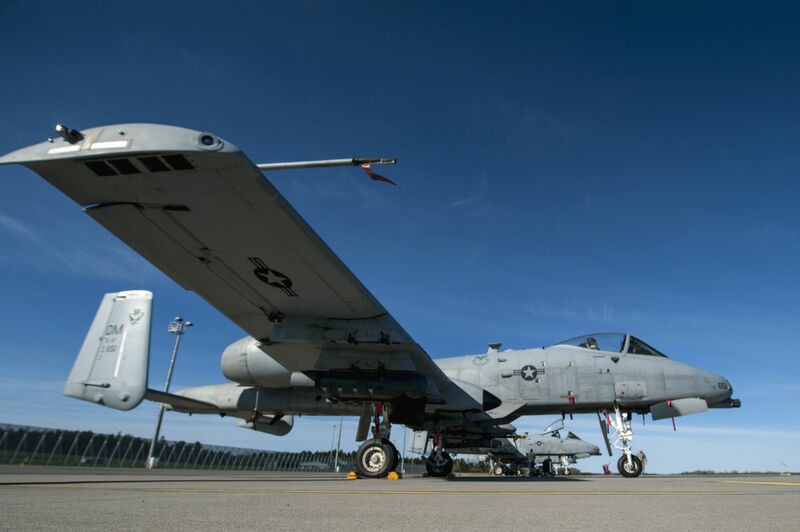 The A-10s are participating in a flying training deployment with the Estonian air force to enhance mutual capabilities and increase interoperability. 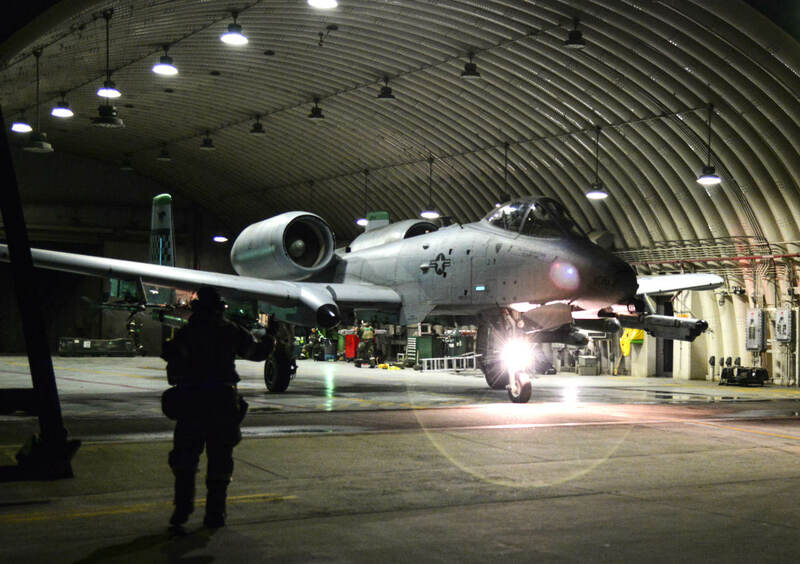 After more than two weeks of training with British forces, the A-10s flew to Estonia from Royal Air Force Leeming, England. Eight U.S. Air Force A-10 Thunderbolt IIs assigned to the 442nd Fighter Wing, Whiteman Air Force Base, Missouri, park on the runway as maintainers perform post-flight inspections at Ämari Air Base, Estonia. These A-10 images were photographed by military veterans and service members. 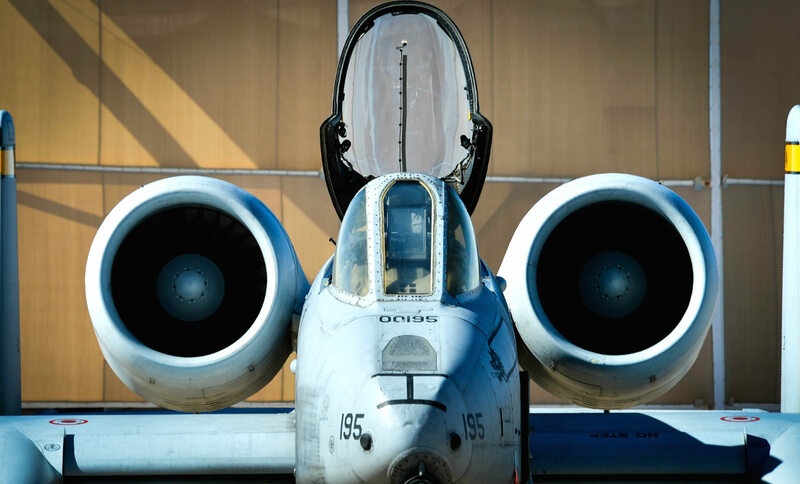 An A-10C Thunderbolt II sits on the flight line at Davis-Monthan Air Force Base, Ariz., April 24, 2015. 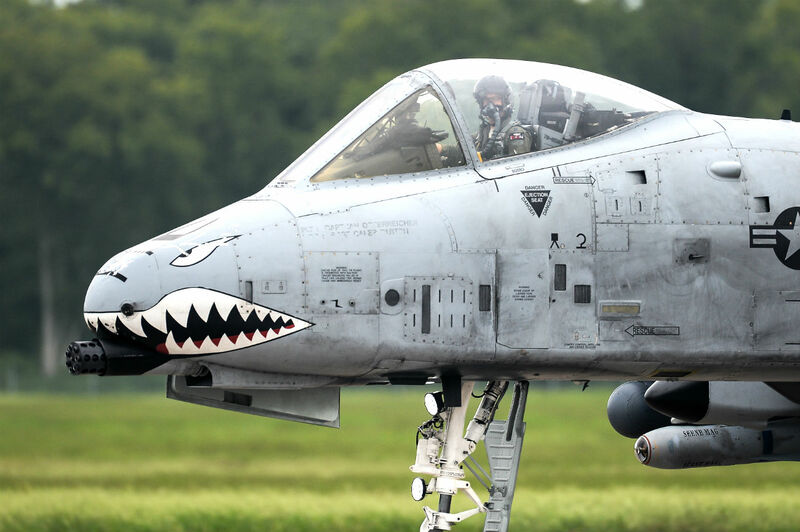 The A-10 is used for close air support, airborne forward air control, and combat search and rescue. The first production A-10A was delivered to D-M in October 1975. The upgraded A-10C reached initial operation capability in September, 2007. The A-10 is used for close air support, airborne forward air control, and combat search and rescue. The upgraded A-10C reached initial operation capability in September, 2007. 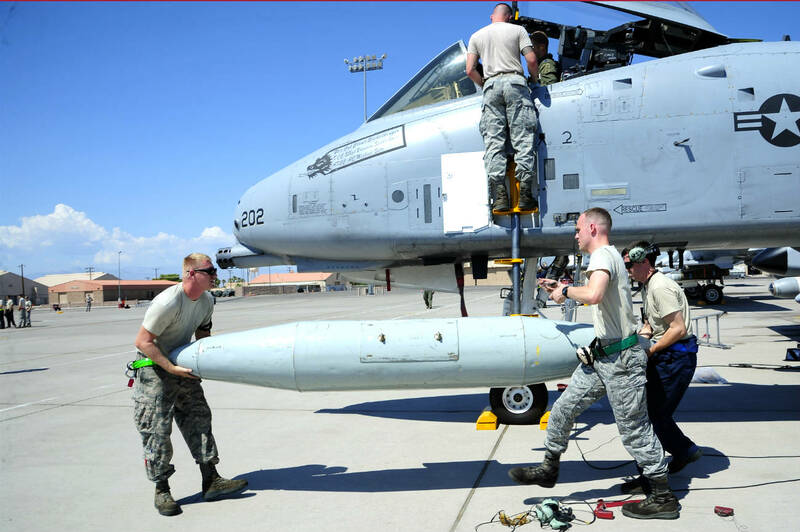 U.S. Airmen from the 355th Maintenance Squadron remove a travel pod from an A-10 Thunderbolt II after the aircraft landed at Nellis Air Force Base, Nev., Sept. 10, 2015. 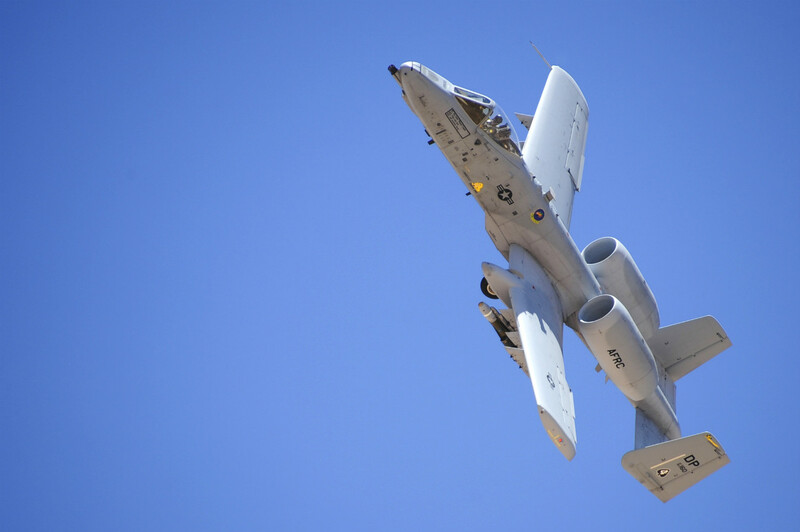 More than 100 personnel and eight A-10s from Davis-Monthan AFB, Ariz., are participating in Green Flag-West 15-10, an advanced, realistic, and relevant air to surface training exercise. U.S. Airmen from the 355th Maintenance Squadron remove a travel pod from an A-10 Thunderbolt II after the aircraft landed at Nellis Air Force Base, Nev.
An A-10C Thunderbolt II assigned to the 47th Fighter Squadron performs a low-angle strafe during the 2016 Hawgsmoke competition at the Barry M. Goldwater Range, Ariz., June 2, 2016. 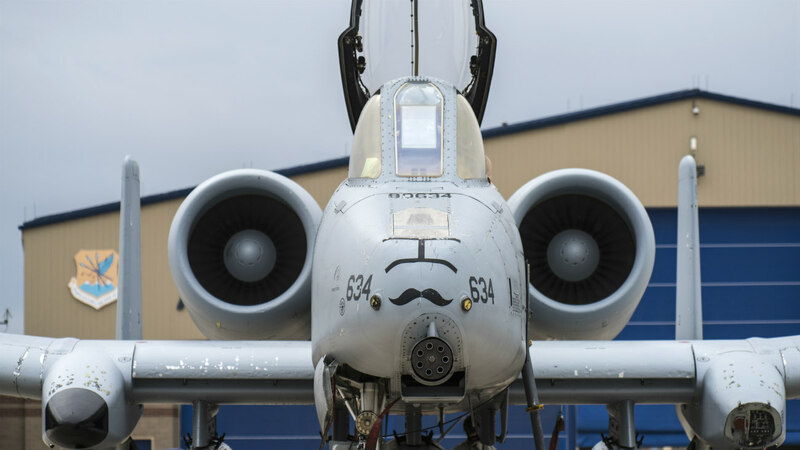 Hawgsmoke is a biennial competition focused on tactics the A-10C can employ during combat operations. An A-10C Thunderbolt II assigned to the 47th Fighter Squadron performs a low-angle strafe during the Hawgsmoke competition at the Barry M. Goldwater Range, Ariz.
An A-10C Thunderbolt II from the 47th Fighter Squadron banks left after performing a low-angle strafe at the Barry M. Goldwater Range, Ariz., June 2, 2016. The 47th FS went on to win their second consecutive Hawgsmoke competition. An A-10C Thunderbolt II from the 47th Fighter Squadron banks left after performing a low-angle strafe at the Barry M. Goldwater Range, Ariz. These A-10 images were photographed by military veterans and service members. 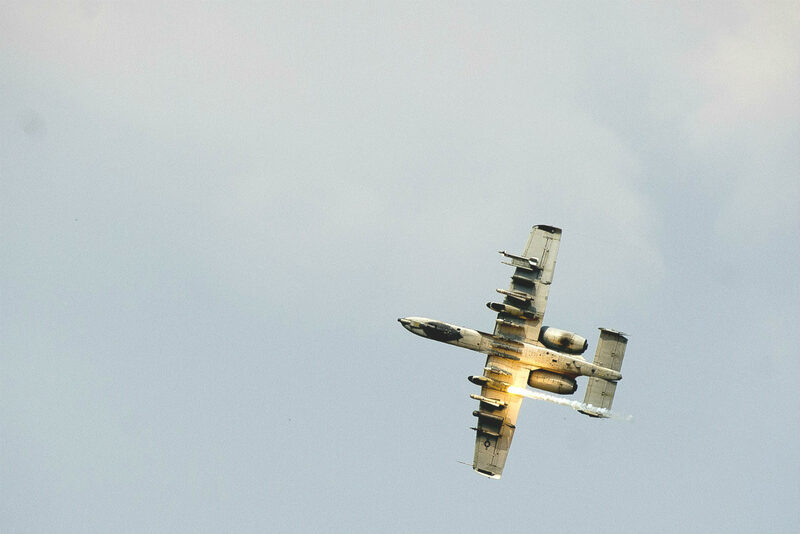 An A-10 Thunderbolt II assigned to the 25th Fighter Squadron shoots a flair during a combat search and rescue demonstration during Air Power Day 2016 at Osan Air Base, Republic of Korea, Sept. 24, 2016. 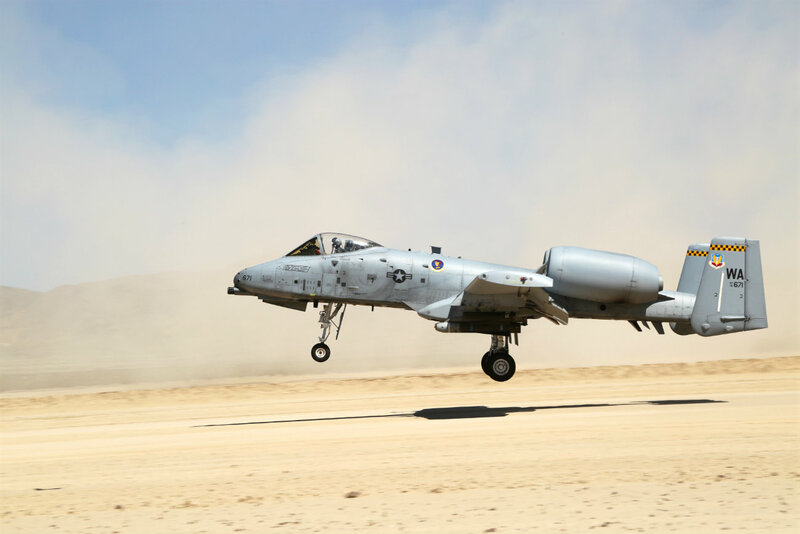 The A-10’s high maneuverability at low altitudes and low speeds makes it an ideal airframe to assist in CSAR operations. 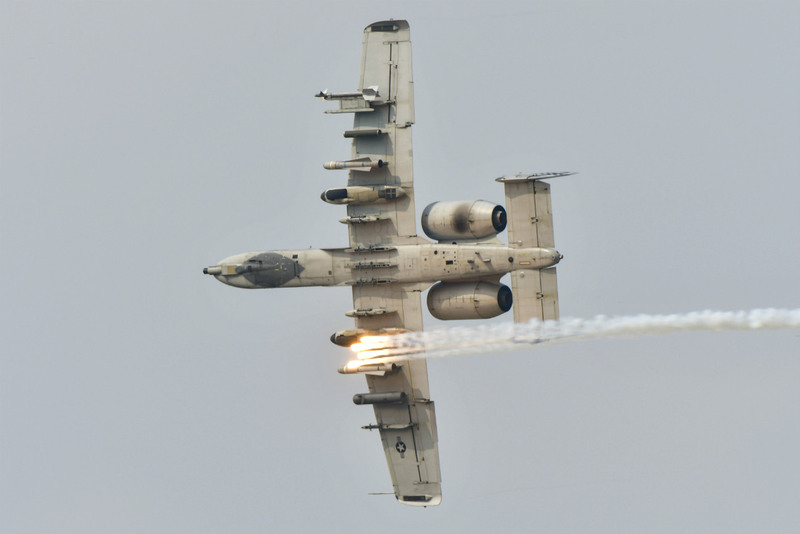 An A-10 Thunderbolt II assigned to the 25th Fighter Squadron shoots a flair during a combat search and rescue demonstration during Air Power Day at Osan Air Base, Republic of Korea. We hope you’re enjoying these A-10 Thunderbolt images and have a small favor to ask. Please consider sharing this post so others can easily find and enjoy these images as well. U.S. Air Force A-10 Thunderbolt II aircrafts sit on the flightline at Whiteman Air Force Base, Mo., Feb. 14, 2017. 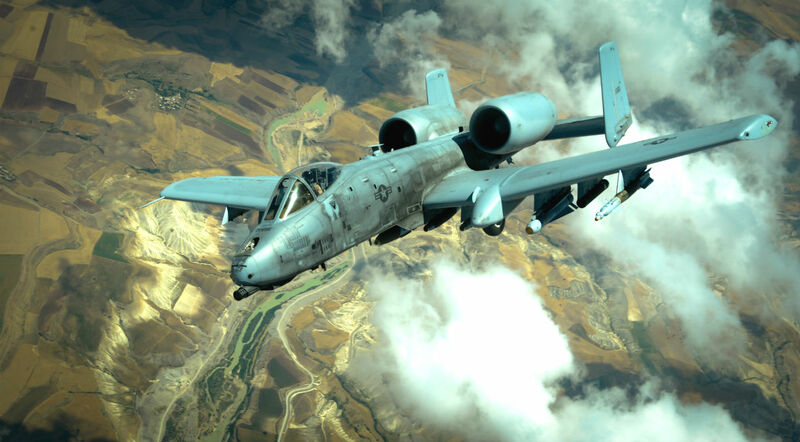 The A-10 Thunderbolt II has excellent maneuverability at low air speeds and altitude, and is a highly accurate and survivable weapons-delivery platform. The aircraft can loiter near battle areas for extended periods of time and operate in low ceiling and visibility conditions. 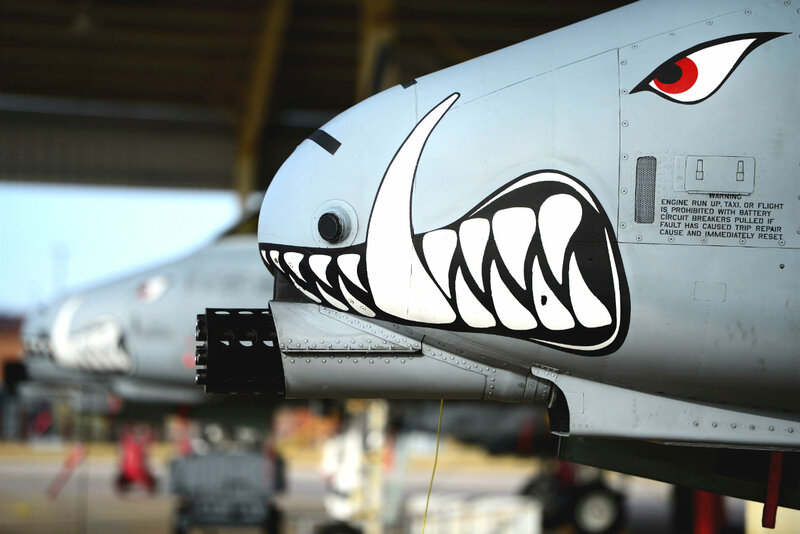 U.S. Air Force A-10 Thunderbolt II aircraft sit on the flightline at Whiteman Air Force Base, Mo. A U.S. Air Force A-10 Thunderbolt II departs after receiving fuel from a 908th Expeditionary Air Refueling Squadron KC-10 Extender during a flight in support of Operation Inherent Resolve. 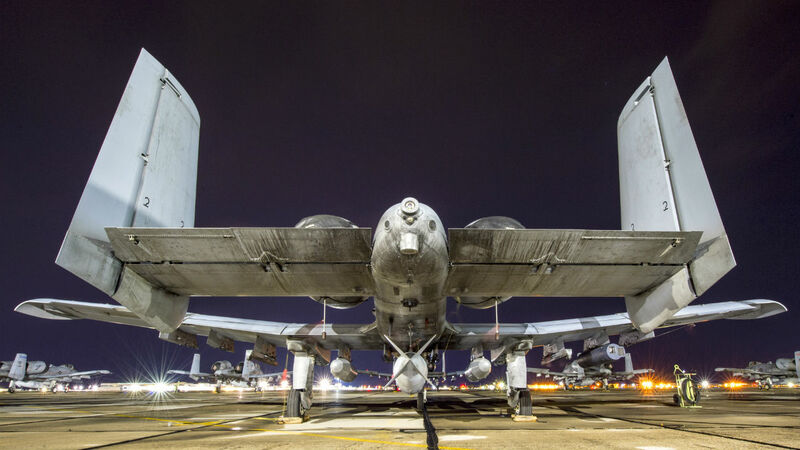 You might also like powerful images of military aircraft at night.